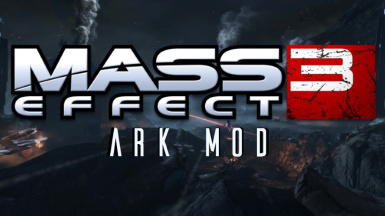 Additional Hazard maps and an entirely new N7 mission for Mass Effect 3. 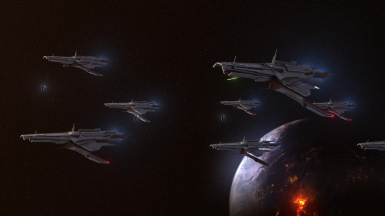 Assist the Turian Navy recover one of its most advanced warships during the Miracle of Palaven. Take the entire Normandy crew into the war zone. 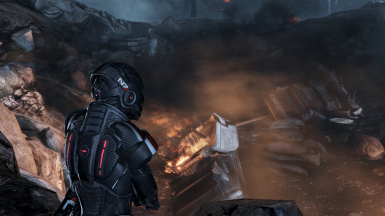 Features: A new N7 mission. 6 new enemy types. 5 Existing N7 missions with new hazards, enemies, and restored content. Fix some problematic textures that cause bugs with MEM/ALOT. Fix Frictionless Rail not being purchasable after the mission. An entire squad assault mission (every squadmate can actively participate). A ultra high definition mesh and HR texture version of the N7 Classic armor. PALADIN REQUIRES: Expanded Galaxy Mod v1.10 AND the Resurgence Multiplayer pack (MP1). N7: Benning with Acid Rain Hazard, new enemy units, and Terminus armor pickup. N7: Noveria with a whiteout hazard, with new enemy units and restored content. 2) Pick which version of the mod to install exe or Mod Manager. Content is identical. 3) Choose installation options including which visor set to install. 4) Make sure ALOT or other texture mods are installed AFTER this mod. 5) If you have SP controller mod remember to update its GUI Compatibility via Mod Manager. When is the N7 mission available? After the coup on the Citadel you will receive an email titled Priority Orders. You can play it anytime before Priority: Cerberus Headquarters. With EGM v1.14 or higher you can set the timing via the EGM Settings. Which squadmates can I take on the mission? All of them. The two you pick you will have direct control over (launching powers, giving orders) but the rest will join you as well assuming they are not in charge of other elements of the assault. EGM squadmates can be bought on the mission as well, up to two, but must be directly controlled. Note this is not similar to the Citadel DLC mission Citadel: Archives - the squadmates will actively participate in combat in this mission. The mission is designed to be a level more difficult than most ME missions as the entire team are launching into a war zone. Large numbers of enemies will appear. Be prepared. If it is too much be prepared to turn the difficulty down (hard on this mission = insanity on most other N7 missions). Why are there artifacts from the Andromeda Initiative in the firebase? N7: Operation Paladin is a demo level for a larger story based series of N7 missions based around the Andromeda Initiative. Firebase Condor happens to be near an Initiative base. Most of the narrative elements explaining how they got there have been removed for the demo. How long is the mission? Like most N7 missions it should take 15-20 minutes to complete. N7 Operation Paladin uses methods we have built to incorporate multiplayer assets into SP, which require additional memory. 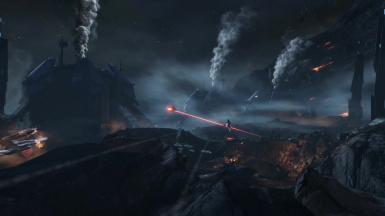 It contains far higher numbers and variety of enemy units and allies on the screen at one time than any other ME3 mission, for this reason we suggest that at least what would have been a very high end pc at the launch in 2012. 8GB RAM, GTX660 work fine. 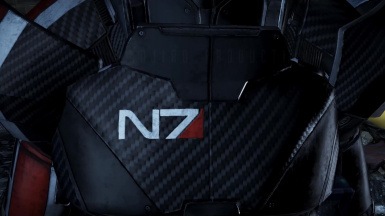 We strongly advise using an LAA patcher to increase addressable video memory especially when using the high poly N7 classic armor and other texture mods. How do I get the best outcome for the mission? Not telling but preparation is key. It SHOULD but has not been tested. All text and vocals will be in English only. No, these are existing missions but using the art, enemies and environments from multiplayer hazard maps, along with some extra content. Just run the mission as you would normally. Does the bonus content require EGM? No, but it has not been tested without EGM. Use at your own risk.